Club Penguin Cheats by Mimo777 Club Penguin Cheats by Mimo777: #MeggTakeover Windup! 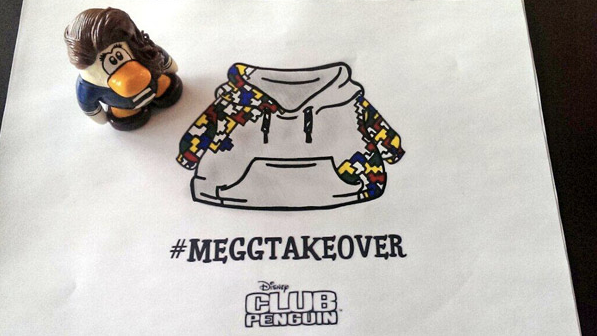 Here's another day of #MeggTakeover! This weekend has been a blast! I want to thank Spike Hike and ALL of the Club Penguin community for helping make it awesome. I am excited to see all the submissions for the hoodie coloring page. If you haven't submitted one yet, make sure to get it in by the end of today!